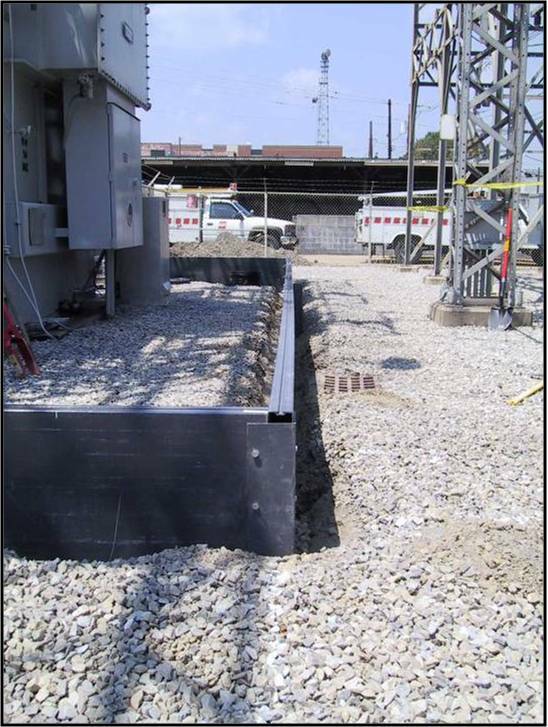 Electric Utility | GEF, Inc.
Our fiberglass Secondary Containment System and Utility Covers System are ideal for use in electrical substation applications and both are low in conductivity, lightweight and easy to install. The COMPOSOLITE® Secondary Containment System is ideal for use in any application requiring secure containment of liquid or solid materials. 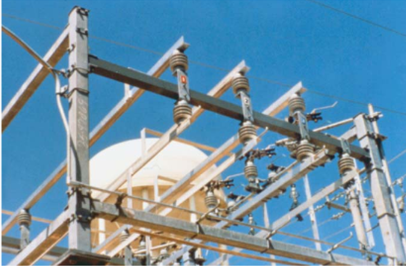 The system was initially developed in conjunction with American Electric Power and has been widely accepted by many utilities. Current installations number 500-plus. 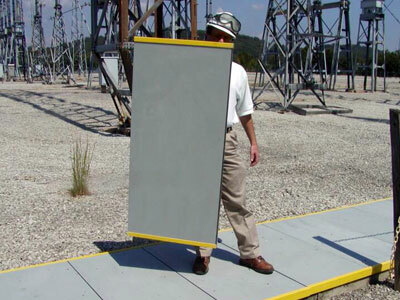 The lightweight, high-strength pultruded fiberglass Containment System is much easier and more cost effective to install than poured-in-place concrete or earthen containment alternatives. The system also can easily be installed in confined or remote areas and may be easily removed if necessary. 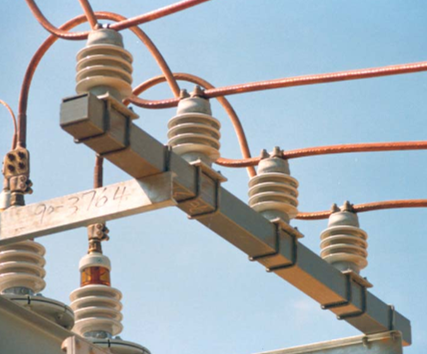 Typical applications include oil containment for electric substation transformers, secondary containment for chemical storage areas and containment walls around construction sites. 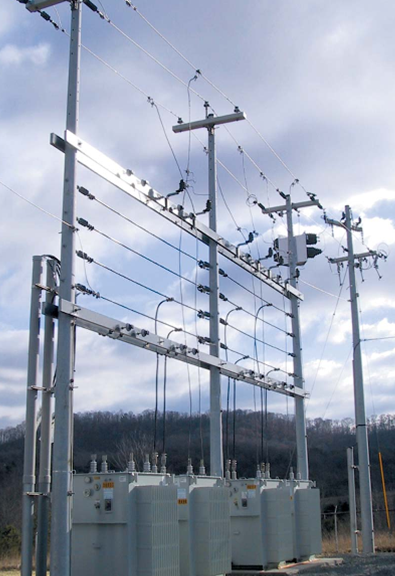 This municipal power provider is using 34' long EXTREN® rectangular tubing at a substation that generates electricity for the Johnson City Water Works Watuaga River Plant. 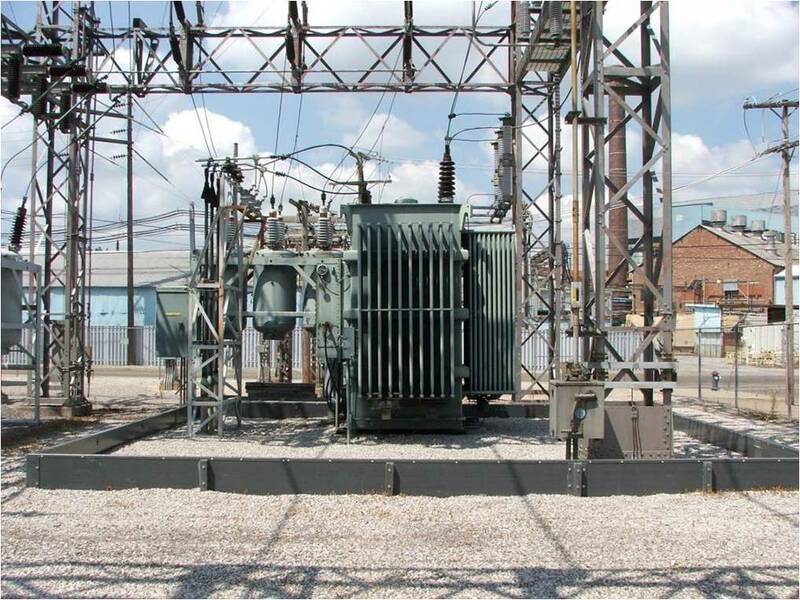 The tubing replaces wooden cross-arms that supported electric wires that feed power to a group of transformers at the substation. 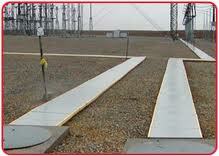 Fiberglass was chosen over steel for its non-conductive quality. The fiberglass tubes are lightweight, more durable, and quicker and easier to install than steel or wood. These tubes were so successful that they are now the standard throughout the system. "If the arms go bad, the customer could be without power for six to seven hours so you want to use something that you know you won't have any problems with," one customer said. "The non-conductive feature of the fiberglass tubing also gave it a leg up over steel on this job."